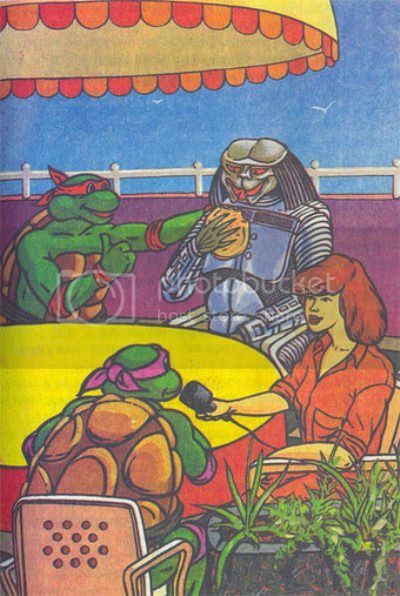 Because copyright laws in Russia are apparently looser than George Lucas’s grasp of fundamental character development, we can enjoy a series of Teenage Mutant Ninja Turtle comics co-starring a Predator. Who enjoys hamburgers. Because obviously. Via i09, who figures that with headlines like, “Aliens Come to Earth, Enjoy Fast Food with Mutant Reptiles,” April O’Neil must work for The National Enquirer.